18 hit songs. 59 minutes of glorious music. The greatest hits of French music, performed by their greatest stars. 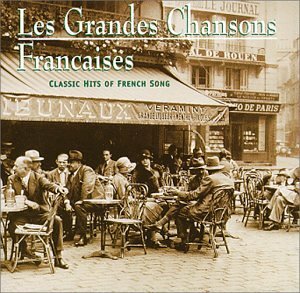 Culled from the decades of the 1930s and 40s when songs were the essence of popular entertainment, these songs represent a high-water mark in the history of La Chanson Francaise. A historic award-winning collection. Pre-television and post-phonograph, these entertainers were superstars to whom the public turned en masse for diversion and delight. If you have any questions about this product by Arkadia Chansons, contact us by completing and submitting the form below. If you are looking for a specif part number, please include it with your message.